So often I hear people say: "I need to get out in nature more. I know I will feel better if I do." I have to remind you... you ARE nature. You can never be away from nature because nature is you. One thing women can do to harmonize their menstrual cycles: get more outdoor time, more time under the moon. Sun & Moon light harmonize the body. The moon pulls on the ebb and flow of the tide, menstrual cycles, life! The cycles of life are amazing. When we live in tune with the cycles, in rhythm with nature (remember we are nature), everything harmonizes. The below poster was a gift from a dear friend. The words on the bottom are a powerful message. 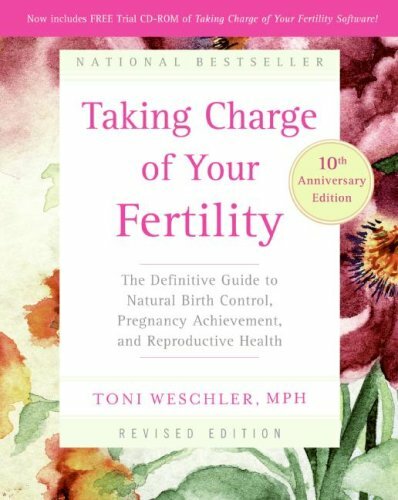 Using the below books will help you harmonize with your body's cycle of fertility, a powerful gift to yourself. As women we need to return to the power of our periods, our feminine selves, and discard the patriarchal induced notion that periods are a "curse." Keeping track of your moon cycle is fun on this chart, a chart that another dear friend gave me, years ago. (I try to surround myself with amazing women!) The poster was meant for 1 year’s use. I changed the color of my marker, each year for 5 years, and turned it into a multi-year moon calendar. I am looking for one like it, to recommend to you. I will give you more awesome options, below, as this one does not seem to be available anymore. And the information is there for years to come! I used it to keep track of the menstrual migraines that crept into my life at about 40 years of age. Note: If anyone finds this beautiful chart, please let me know at www.PaulaYoumellRN.com Thanks! But, alas, my friends... I have other wonderful moon cycle charts to offer: This beauty, below, can be viewed and purchased here and has a fine video explaining how to use it. Compliments of Lucy Pearce: artist,creative mentor, teacher of transformational women’s workshops, and so much more... check her out! Check out Lucy Pearce's Moon Time Chart: Her Integrated Moon Chart combines the biological and spiritual aspects of your cycle to give you a deeper understanding of your own rhythms, so that you can find balance within yourself. Very helpful to use this with the above Moon Dial. Use the above moon calendar with Moon Times ® Cycle Charting Journal (picture below). The work of Rachael Hertogs, a woman's menstrual health educator and so much more! Your Moon cycle is a beautiful process, nurture it with love! PS If you have daughters, granddaughters, nieces, etc., guide them in the beauty of their moon cycle. Creating this positive mindset around the beauty of their bodies and the cycle of their reproductive health will create a balance and peace many women of my generation did not consciously know. Let's make change around this! Cheer!